In the upper left are a couple Emperical Labs EL8 Distressors. 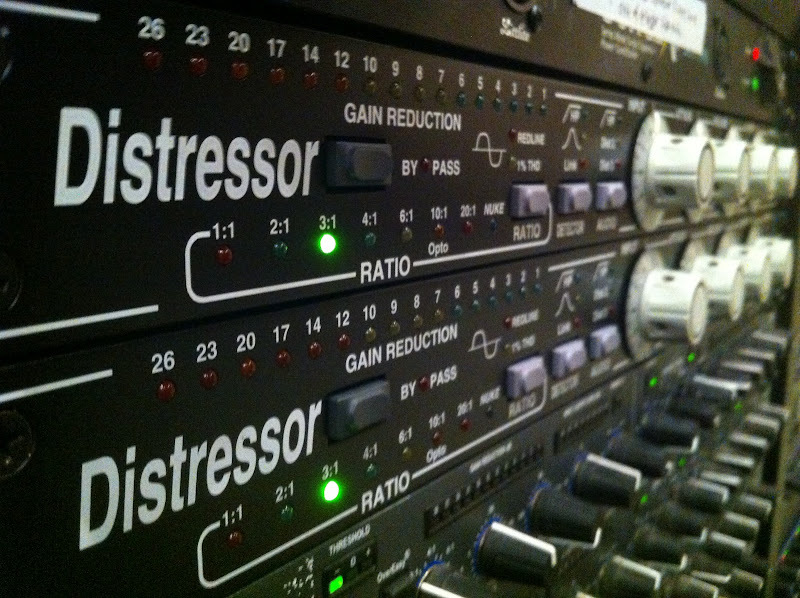 These are warm, smooth compressors for vocals and guitars. Plus, they must be cool because they have a "Nuke" option with a blue light. 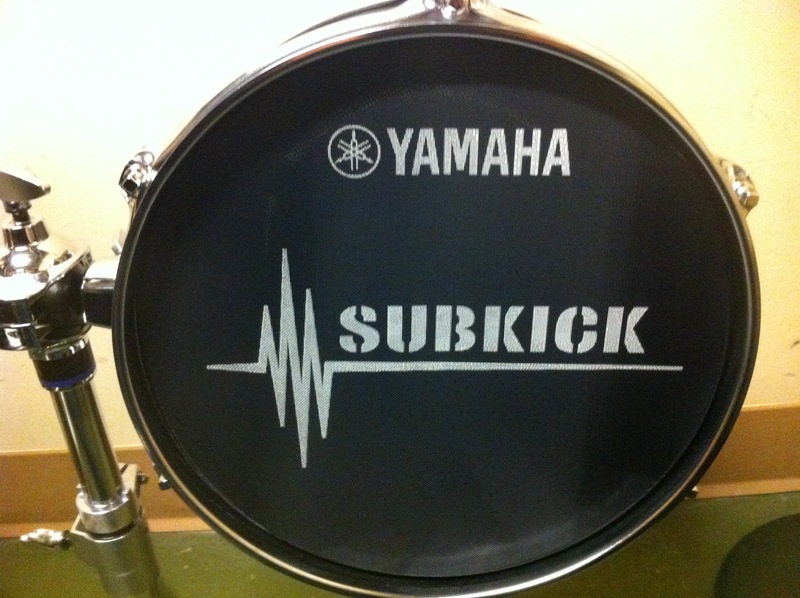 In the lower left is a Yamaha Sub-Kick. It's a speaker wired in reverse, which makes it essentially a really big microphone. It does a great job of picking up the very low frequencies of the kick drum and will become another regular input on our drum kit. 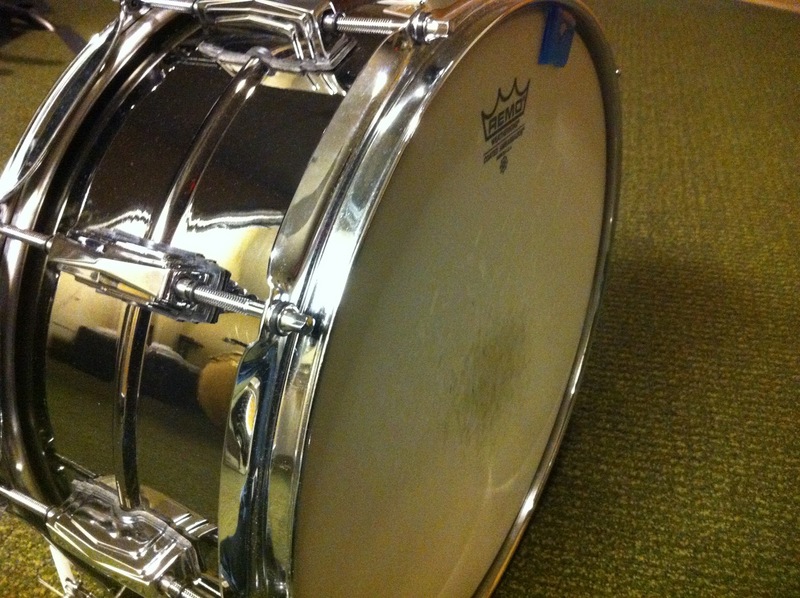 In the lower right is a Black Beauty snare, which sounds much better than our previous snare. The music department also purchased some "darker" cymbals as well as a good bit of spare drum hardware to help with various drum kits around the building. Finally, in the upper right, though somewhat difficult to see, are "new" auditorium choir risers. 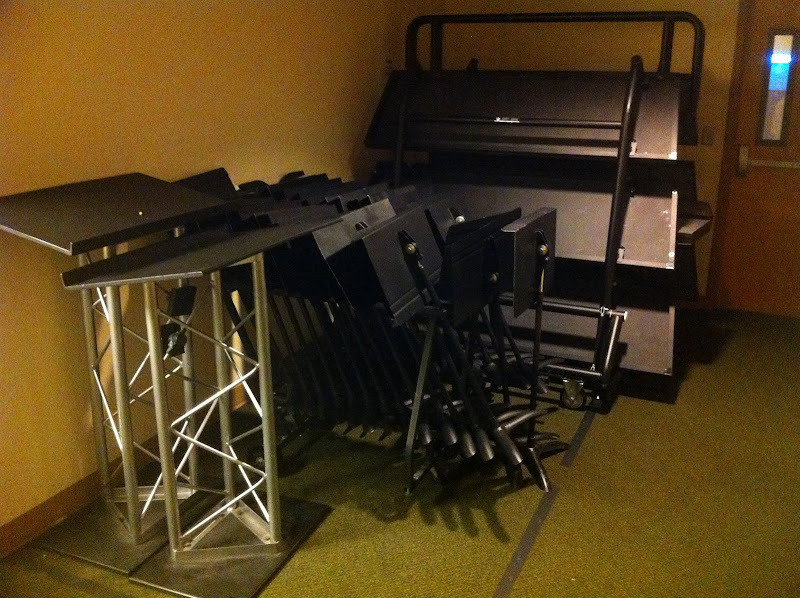 In reality, we've had these folding, rolling choir risers for several years, but we just purchased the fourth step, so that we can use them on Sundays. Please note that the storage area backstage left by "the cage" has been significantly reorganized. Also, you can expect a brief training video on how to set up these risers with the fourth step. So, what happened this last weekend? Mark Mitchell shared some important items for the life of the church. Ken came back up to transition to the sermon with the song "Speak, O Lord." Braden Greer preached "Jesus on Revenge and Rights." You can review it here. They serve so solidly and stealthily, that they can be easily forgotten. But not today! Since we launched video on the website at the beginning of July, people around the world have watched about 60 full days of video (that's 1440 hours). Thanks, team! I don't think we need to use noise reduction any more on Sundays. The broadcast automixer has cleaned up and leveled our recording feeds so well, that the noise reduction is unnecessary and, in fact, introduces some audio anomalies that don't sound good. Please skip it! Please take careful note of which Template you are using when you save mp3 files. Music should be saved using the "Default Template." Speech should be saved using "CLC Web Settings." If you save the music files using the "CLC Web Settings" template, they will sound so low-fi that they are not useful for review by the worship team. If you save the sermon with "Default Template" the file will be larger than it should be. Let me know if you have any questions at all about the difference and when to use which one. I mixed this weekend for the second time in a row. This weekend was undoubtedly more difficult to mix with the addition of the choir. My appreciation for Mr. Cowan went up again, as I understood anew how hard he's worked over the last couple years to tweak and improve his choir-plus-full-band mix. The darker cymbals helped me keep the choir warm and smooth, but I wish I could have scrounged more level out of the choir mics. I was happy with the vocal sound overall, but not so much with the guitar sounds. I wish I could have made them thicker still. What did you think of the mix? As a reminder to everyone, make sure to complete your checklists thoroughly. They exist to help you remember to do all the little things you are likely to forget. Lighting team, please make sure to close all the stage doors even though the backdrop blocks them from view. While the laws of physics allow the backdrop to stop the light leaks, they don't stop the sound leaks. We want to avoid hearing any backstage conversations during the sermon. 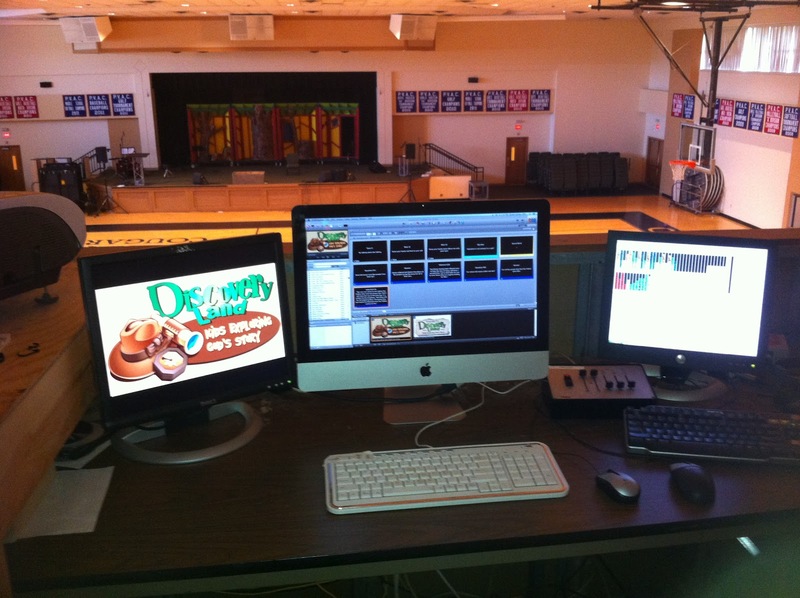 Great job this weekend video team. You deserve thanks as well for providing the video material that the sermon media team puts online. Let me take a quick detour and discuss communication philosophy. Almost every week we have announcements. Unless we work hard, those announcements can become rote, boring, unmemorable, and, as a result, a waste of our time. If no one remembers them, we've wasted everyone's time. One of the ways to make announcements memorable and interesting is to use images to reinforce what is being said. Another way to hold the congregation's attention is to speak in a comfortable and engaging way, with an unscripted feel. And there's the rub: trying to use pictures to support a largely unscripted talk is difficult to do well, and distracting when not done well. That's why, when we want to use multiple pictures to support a longer announcement, we try to get an actual script of what the person is going to say. Well, those of us on the staff side failed to produce an accurate script this last Sunday, which caused some problems with the Introducing God announcement slides. Ultimately, this was our fault, not the video team or the graphics operator. Learn the Script - Even though the assistant tech directors try to mark the scripts with image cue points, please take a few minutes before the service to read and understand what the speaker is trying to say and how the pictures support what he is trying to say. That way, if he diverges from the script, you can follow the ideas rather than the actual words on the page. Less is More - In general, if you're not sure what to display, either: a) stay on the slide you're on if it makes sense with what is being said or b) go to black if the current picture doesn't make sense with what is being said. We are not obligated to put up every picture, or even most of the pictures. The pictures are secondary. Our primary goal is to support what he does say, not necessarily get through a set of images. Don't Panic - The most important thing to do in these types of moments is to listen and understand what the speaker is actually saying. Don't stress about where he is in the script because he's no longer following the script. It would probably help to look up at the main screens and focus on the speaker instead of the pages in front of you which he has abandoned. We are going to do everything we can to prepare so that you're not put in this position. However, since we're human beings, it very well might happen again. I apologize in advance, and I hope that these three brief thoughts will help you be our heroes by doing a great job even when we don't set you up as well as possible. What did you notice on Sunday that was great or could be improved? Eric McAllister led us in singing, bringing in a Go-Go feel and call and response time to the first song. Jefferson Bethke shared his poem, "Death of YOLO." We played a video to highlight what could happen if people don't sign up to help in Discovery Land. Josh Harris shared some important notes for the church. For the first time in about a year, I had the chance to mix this Sunday. I enjoyed working with the unusual arrangements, but I'm never sure exactly how to evaluate the mix when I'm the one mixing. What suggestions or thoughts do you have from the mix this weekend? In the last six weeks, we've had four different guys lead us in singing. I hope we'll see more people using their gifts of music and leadership to guide us into the worship of Jesus. With more people leading less frequently, the sound crew should take the lead during soundcheck, making it very clear what we need from the musicians in order to serve them well. Some of our worship leaders understand the process better than others, which is just fine. Let's make some extra effort in the next few months to over-communicate and carefully educate. These dates are not set in stone yet, but please pencil them in to your calendars, and we'll confirm in the near future. We got you a new iMac to replace the white MacBook. It's going to be much faster and hopefully more stable as well. If you want to be the first to run it, call or email me. We are still looking for someone to run Discovery Land lights and video this weekend. I cleaned up the desktop and resynced the song list. You shouldn't be missing anything critical, but if you have your own flavor of slides that you didn't label and file in a clear matter, they are probably gone. If the songs don't look like they are formatted correctly, click on the yellow triangle in the upper right corner of the presentation area of ProPresenter to make that song fit the widescreen format. And so the Discovery Land sound teams don't feel left out, the white MacBook will replace the Events Center Jukebox laptop when it returns next week from the Worthy12 youth retreat. Ken Boer led us in singing and reading Scripture. Kevin Rogers shared some items of importance in the life of the church. Josh Harris preached "Don't Break Your Marriage or Your Word." You can review it here. Overall Positive Feedback on Singing - We got a number of comments about how great the time of singing was, so thanks especially to the sound crew and Rachel on lyrics for helping serve people so well. Low End in the "New" PA - Luke did a great job on the mix this weekend. Even though it was slightly louder than usual, it sounded so good. He really got the kick and bass right, even with the new tuning. Drums in the Mix - Another piece to the great mix was that the drums were predominantly in the PA, which is critical to the energy and cohesiveness of the mix. I think we can sometimes "hear" the drums as a combination of the acoustic sound and some PA sound. But the sense of the drum sound needs to be mostly PA in order for the mix to sound it's best. This may require the drums to be a little bit louder than we usually mix them. Tip: If the drummer eases up and the imaging of the drums seems to shift from the PA to the stage, they probably need to be turned up in the PA ever so slightly. Announcement Slides on the Confidence Monitors - I've noticed that several of our graphics operators have begun to run the announcements slides from the video/image bin in ProPresenter. At first this didn't strike me as problematic, and it's definitely simpler. However, presenting from the bin doesn't push the images to the confidence monitors, so the pastors have no idea if the slides are up or not. If this has become your practice, please go back to creating a presentation of the slides, so that they show up on the confidence monitors. What else did you notice from this Sunday?